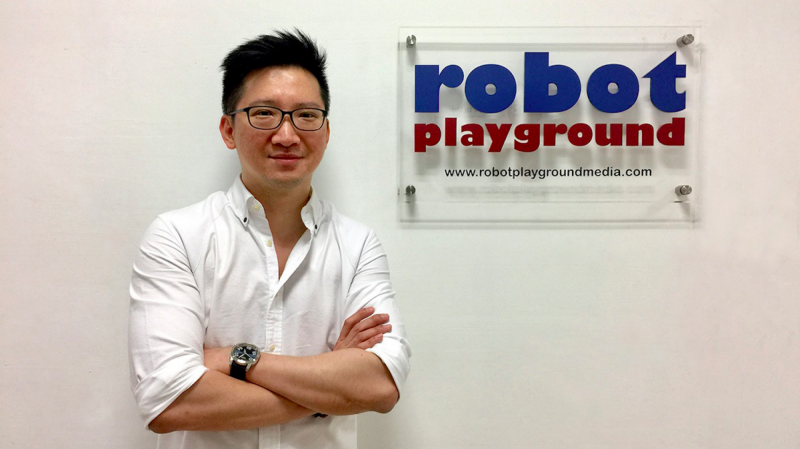 Northern Film Group has acquired the award-winning anthology film Timescapes from Singapore’s Robot Playground Media, which features five 2D-animated short films from Singapore and nostalgic landscapes of Singapore past and present. With virtually no dialogue, each film is accompanied by original musical scores by August Lum and Alex Oh, and aims to show how our living landscapes and surroundings intertwine with our memories and imagination. Stories include a childhood romance that blossomed amongst the bookshelves of an old library; a fantasy adventure where a girl meets a cat who brings her into the underbelly of a night market; a nostalgic look at the playgrounds of Singapore and the bittersweet simplicity of life; a tale about solitude and serendipity during an afternoon rain in the city, and a journey an old violin takes that spans 80 years of Singapore’s past. Timescapes premiered on Singapore’s cable TV station StarHub in late 2017 as individual films. It premiered internationally at the Seoul International Animated Film Festival in 2018 where it was in competition. That same year, it won the national award at the Asian Academy Creative Awards (Singapore) and was nominated for Best 2D Animated Programme at the Asian Television Awards. It was also Singapore’s entry into the Asia Pacific Screen Awards 2018, where it was in competition for Best Animated Film. Some films in the series, notably The Violin and The Girl And The Cat, have been screened at over 15 international films film festivals in the United States, Spain, Italy, Czech Republic, Ukraine, China, South Korea, India, Cambodia and Indonesia. The founder of Northern Film Group Adrienne Seet, shares Ervin’s sentiments. A Singaporean film distributor based in Norway, she fell in love with the authenticity of the atmosphere at the old National Library in the first short film “The Little Red Bricks”, a place she once frequented and worked in. Negotiations for the rights soon followed and she is now excited to have acquired the rights to promote the film to Europe, EMEA and China. “Animation has always been the domain of big American companies and Japan. Now, we want to show the world the visual artistry and heritage in Singaporean animation, to shine a spotlight on the rich capsule of culture in this tiny island-nation,” said Adrienne. Singapore has a rich heritage of colonialism, multiracial groups and religions known for its transition from a developing country to the world’s richest city in the world within 50 years. Its landscapes and cultures reflect its maritime culture, economic success, British architecture, Chinese, Malay and Indian influences, meshed together with the hot tropical climate of monsoon rains. In 2019, the series will air on Singapore’s national broadcast station, Mediacorp. Robot Playground Media plans to adapt one of the films in the anthology, The Violin, into an animated feature film and hopes to start production later this year. For more information, please contact Adrienne Seet at as@northernfilm.co. Contemplative empath who sees wonder in the curious world. Has a habit of hiding behind books and occasionally dabbles in games, Netflix and YouTube. Is permanently attached to bubble tea.